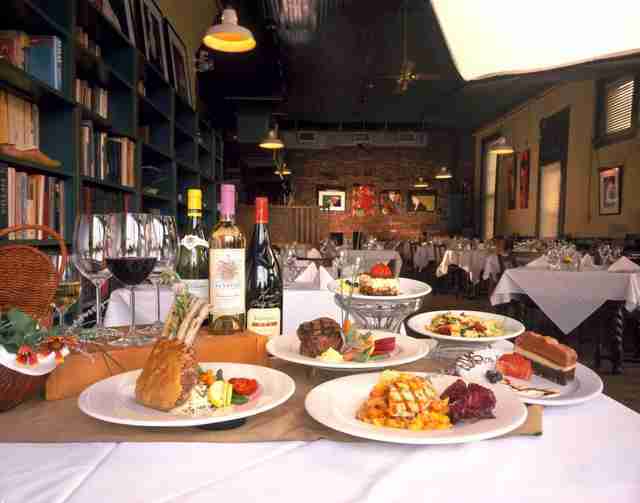 There’s absolutely no denying that Nashville’s ever-growing food scene is one of the best in the South. However, the honest truth with rapid growth is that many of these astounding places are also crazy-expensive. And sure, cooking at home is a lot cheaper, but is it even as satisfying? Luckily for you, we’ve searched the city for the best dishes that will keep your belly (and wallet) stuffed. 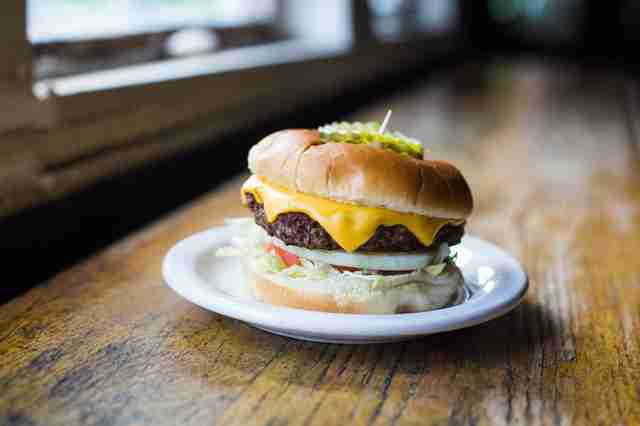 Here’s Nashville’s best eats for $5 or less. Everyone knows that pizza is a good go-to meal when you need to fill yourself up on the cheap. However, you might not know the best place to do so. 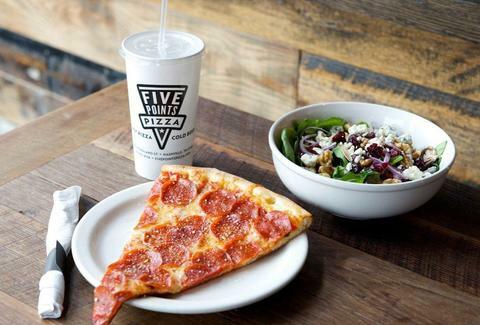 Our top pick: Five Points Pizza. For $3.25, you can get a big slice of its homemade pepperoni pizza. We also HIGHLY recommend the garlic knots, which come in at just $3 for a half-order. Nashville has some brutally hot summers, so what better way to cool off than with the best ice cream in town? 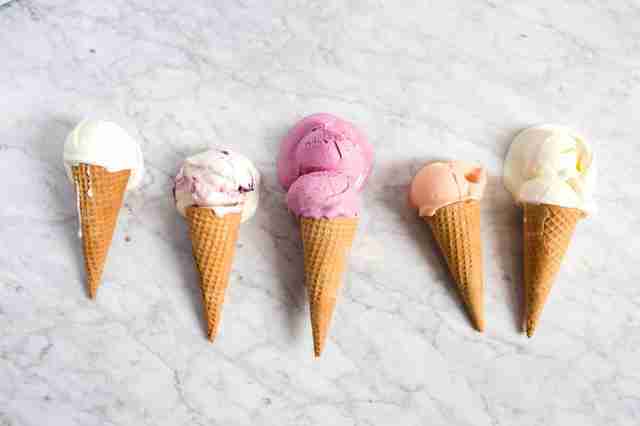 Jeni’s has a a few flavors that are regulars on the menu and you’ll never go wrong by ordering them, but it also has a constantly rotating menu of new flavors that change with the weather depending on what’s in season. They’re very generous with the free samples (so try as many as you need to in order to find the one that’s right for you)... and remember that your $5 gets you TWO scoops of ice cream, so you’re free to get two different flavors, baby! 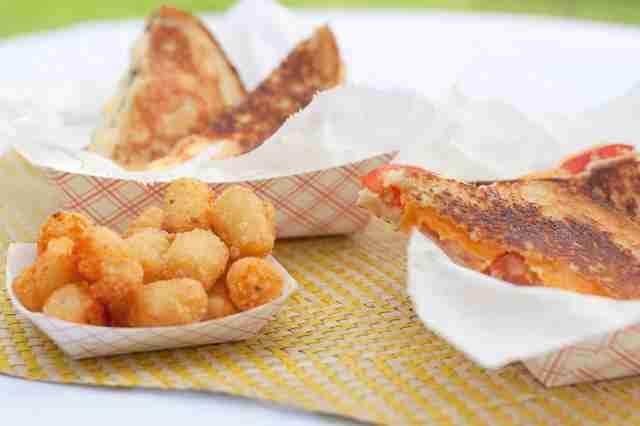 The Grilled Cheeserie is arguably Nashville’s most beloved food truck (and certainly the one with the longest lines). While some of their fancy “grown-up” sandwiches are truly out of this world, you can never go wrong with a classic grilled cheese that’s made simply with bread and cheese (ooey, gooey, delicious cheese). If $5 is all you have in your pocket, The Grilled Cheeserie has 2 options for you: the buttermilk cheddar grilled cheese and the pepperjack grilled cheese. Both are totally worth the wait. Don’t forget:one of their 2 trucks can be found parked right outside the Nashville Farmer’s Market for lunch on most days. And an even bigger bonus: they’re opening up a brick and mortar location later this year. Five Daughters Bakery has taken Nashville by storm and quickly risen above all other donut shops in the city. It takes intense pride in its donuts, which translates easily in the taste. The 100 Layer Donut, the most popular item, is exactly what it sounds like: 100 layers of dough delicately stacked on top of one another to create its version of a cronut. 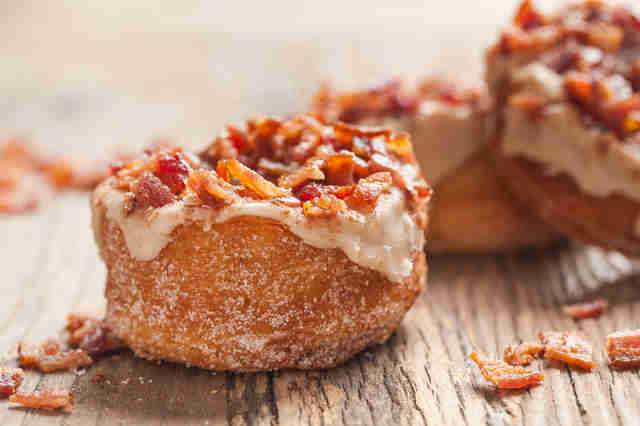 This donut comes in three consistent flavors, as well as a wide variety of specialty flavors that change weekly. This is a sandwich people go wild about, especially when it comes from the InterAsian Market & Deli. Its bánh mì is a wonderful combination of salty & sweet roast pork and pate (homemade of course), with pickled carrots and papaya on freshly toasted French bread. One of the most popular aspects of this sandwich is its low price tag (clocking in at less than $5). If you’re looking for an even cheaper eat, you can get the regular bánh mì sandwich for only $3.43. Important: when you walk into the InterAsian Market & Deli, it’s not exactly obvious where you go to order food. Just hop in line at the cash register and order your sandwich right at the front desk of the market. Since only a very small portion of the world’s population doesn’t love sushi, let’s be thankful it’s so cheap. 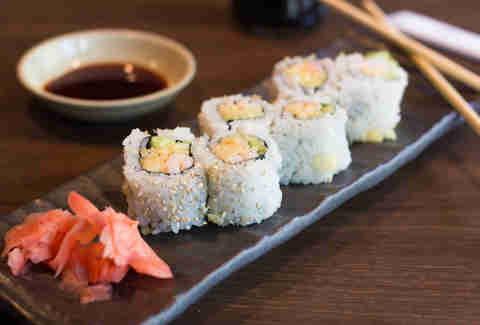 There are quite a few great places in town that you can get a good sushi roll for less than $5, but our top pick is Ichiban -- and its wide array of wallet-friendly options. If you’ve lived in Middle Tennessee for quite some time, then chances are you’ve had a burger from Fat Mo’s. However, if you’re not one of the fortunate ones, then we’ll tell you that the burgers are damn delicious and you absolutely can’t beat the price tag of only $3.59. Also, for 30 cents more, you can upgrade your burger to a Double Mo’s burger. The original box stand burger shop is in Smyrna, but it now has locations all across the Middle Tennessee area, meaning that you won’t have to travel far to enjoy one of its cheap (and totally satisfying) burgers. What would a “Nashville’s Best Eats” list be without BBQ? 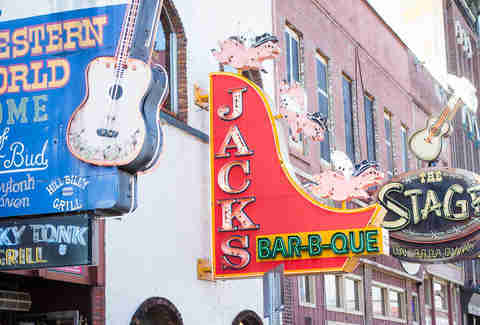 Located on Lower Broadway Downtown, Jack’s Bar-B-Que is a classic Nashville BBQ joint and, thankfully for all of us, you can get a sandwich for only $4.99. Many of its other sandwiches come in at just over $5, so if you go searching through your couch cushions, you might be able to scrape up enough change for even greater options. Most of the hot dogs on I Dream of Weenie’s menu are under $5, so you have a nice variety of well over 15 weenies to choose from. This deal also includes the Sunday brunch menu, so go ahead and get the Eggs Benedict Weenie, or sample the French Toast Weenie. For everyday cheap hot dog options, the Chili Cheese Weenie is a great choice at a low $3.50. It’s topped with spicy chili and cheese, and it’s incredibly satisfying. If you’re looking for a spot with lots of options for not a lot of cash, Brown's Diner is your place. Seeing as nearly every item on its menu comes in at under $5, this is the perfect spot for cheap eats. If you’re really crafty with the menu, you can order yourself a whole meal and still come in at around $5. 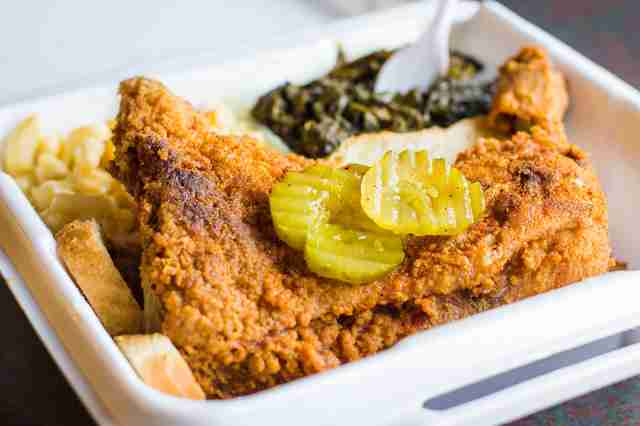 Thanks to Bolton’s, you can be a true Nashvillian on the cheap and enjoy hot chicken for $5. Its breast quarter sandwich conveniently comes in right at that price (though you’ll need a whole extra 50 cents for its hot fish). 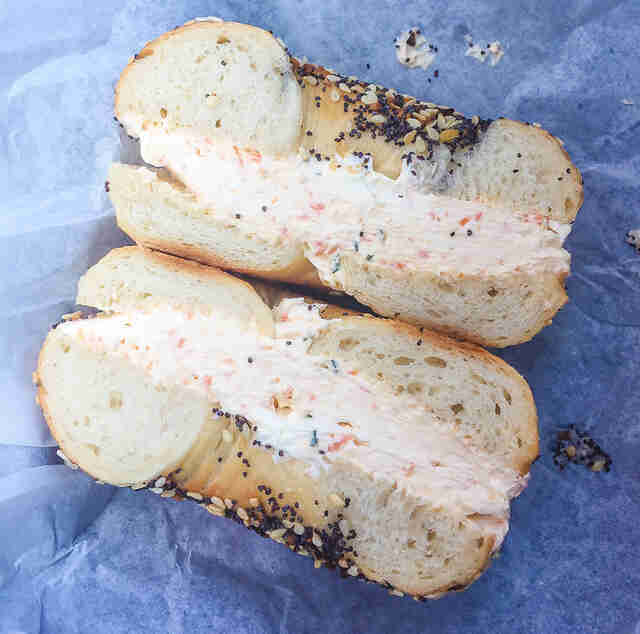 Even though BFB’s bagel sandwiches are a bit on the pricey side, you can always get a good toasted bagel with spread for well under $5, leaving just enough for a cup of coffee to go along with it. If you’re going for breakfast, you can also get an egg & cheese bagel for a mere $4.50. Rae’s sandwich shop is a small hole in the wall on Capitol Hill that’s a favorite lunch spot for those who work Downtown. Even better than its sandwiches, in our opinion, is its daily special soups that change depending on the day of the week. Our personal favorite is its beer & cheese soup that’s served on Thursdays. But really, all of its soups are very filling, and pretty cheap at just $4.11 for a bowl. Should you find yourself looking for a dish with a bit more sophistication, but still around $5, we suggest the mushroom ravioli from The MaD PLaTTeR. Aside from sweet tea, the lunch portion of the mushroom ravioli is pretty much all that you can order on its menu for $5, so be warned. Sometimes you just really need a cheap way to satisfy your sweet tooth, and cupcakes are always a good option for that. The Cupcake Collection has a surprisingly large variety of flavors that range from $2 for its regular cupcakes to $2.50 for its speciality cupcakes. Either way, you can get a couple cupcakes for less than $5. It also has quite a few gluten-free and vegan options. And might we suggest one of its premium cupcakes: Campfire S’mores. Brita Britnell is a Nashville-based food blogger and photographer who often leaves the house with only $5 and has learned to make it stretch.